KLEO brings Hand-crafted luxury to redefine your home decor & utility. 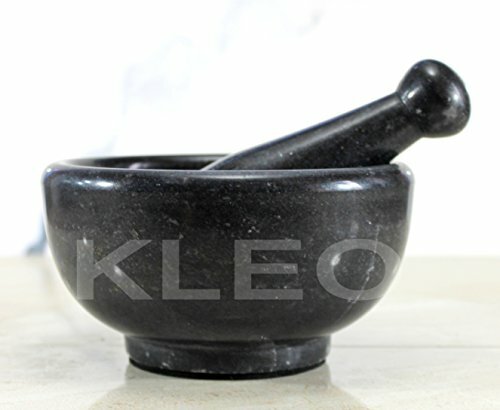 A kitchen essential Mortar and Pestle made out of Natural Black Stone (BIG SIZE) in BLACK color. It is BIG in size and can be easily used to make Chutney, Dressing for Salads, Grind large quantities of Masala etc. 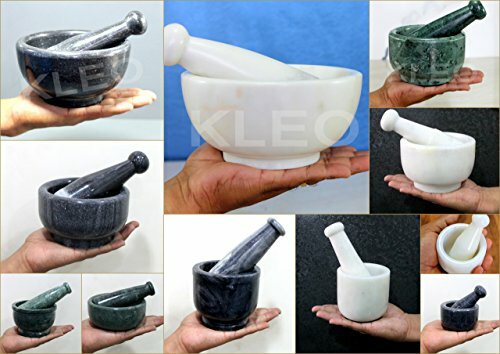 We are one of the few people who make this SIZE of Mortar Pestle to meet all your needs in the Kitchen. Carved out of a single piece of stone. Easy to maintain/ clean, dishwasher safe and won’t absorb food odours or stains. Kleo – Home Utilities And Decor To Redefine Your Surroundings. Our Product Range Is Not Just Stylish And Classy But Also Works With Artisans To Empower Them To Keep Their Skills Alive. 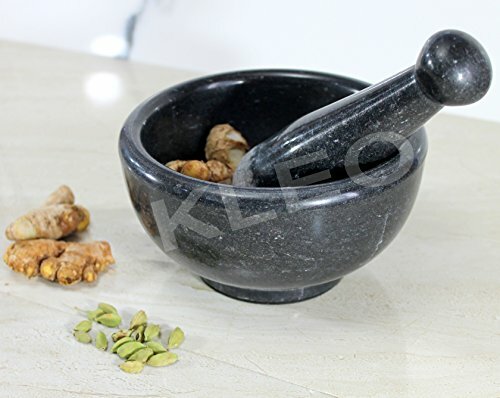 This Fabulous Mortar & Pestle Is Made Out Of A Solid Piece Of Natural Stone. 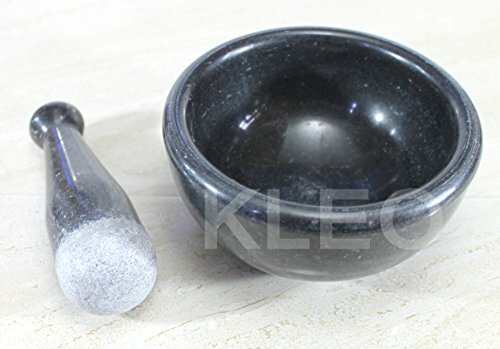 We Have Placed Rubber Felt At The Bottom Of All Mortar Pestle Set To Ensure That The Impact Of Masher Does Not Pass The Impact The Kitchen Floor And Reduces The Sound Too.The Wonderful Characteristics Of Natural Stone Make Each Piece Unique And Special! 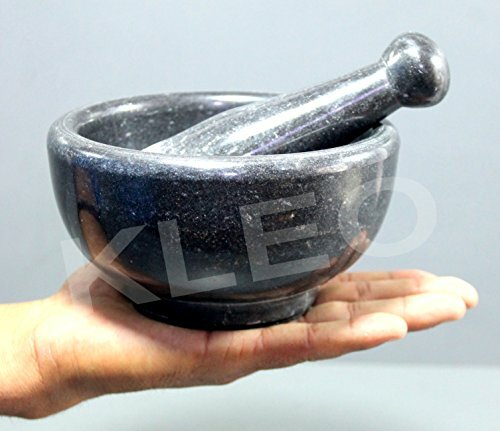 Using A Mortar And Pestle Is A Centuries Old Method Of Food Preparation That Is Still Considered The Best Way Of Releasing The Full, True Flavors Of Herbs And Spices. 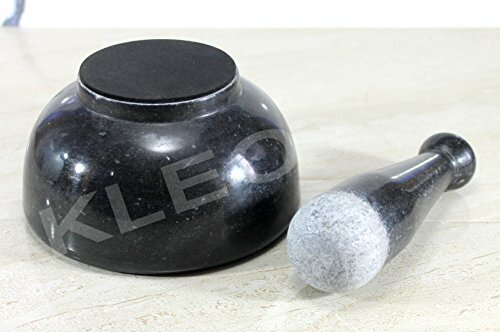 This Solid Round Mortar And Pestle Is A Gorgeous Contemporary Style Black Natural Marble Stone And Features A Felt Lined Base To Protect Work Surfaces. Easily Used By Both Home Chefs And Pharmacists. Dimensions: Size – 15 Cm Diameter x 7.5 Cm Height Weight – 1500 Grams. This product is 100% handmade by skilled Artisans. We support Artisans and want to conserve the arts & crafts of old times. 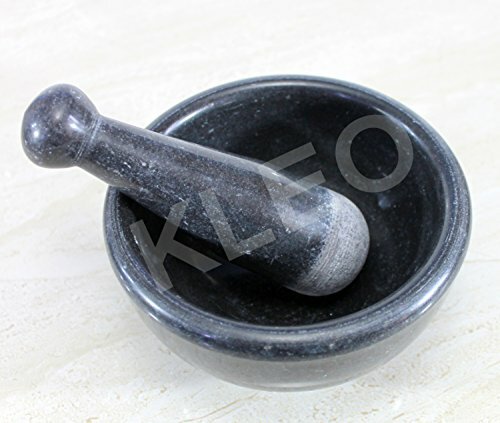 KLEO Mortar Pestle has 10 plus designs to choose from. From the very small to quite large. 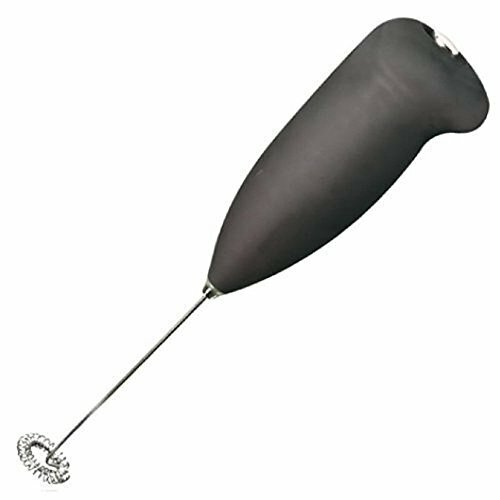 You can simply use them for small grinding purposes or making pastes and sauces. Dimensions ranges from 2.5″ – 6″ in diameter and 1″-3.5″ in Depth. Please refer to photos of our range and choose from our exclusive range that suits your requirements the best.